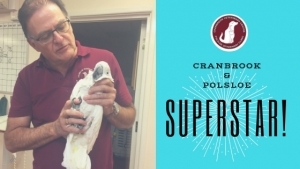 We are pleased to announce our first of several Cranbrook and Polsloe SUPERSTARS! 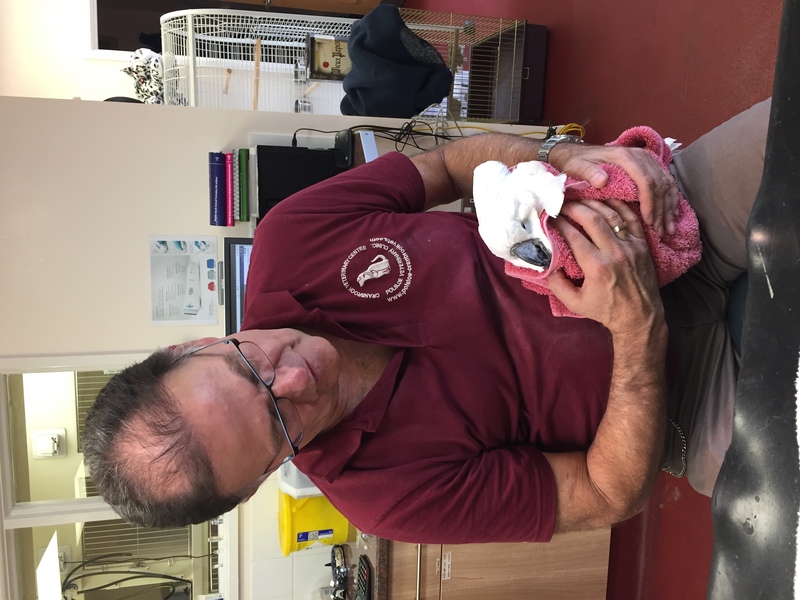 Angel’s owner rushed her in to Chris when she hurt herself getting out of her cage. Chris X-rayed her immediately and she was diagnosed with a tibial fracture and went straight into surgery. 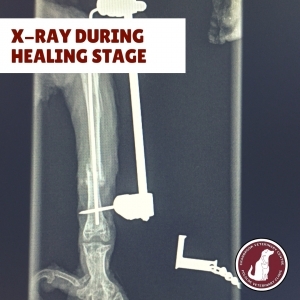 Chris inserted pins to correct the fracture as well as an external fixator. This is a support to assist in correcting the fracture. Cat and Dog owners who have had to deal with the post op care following orthopaedic operations know how hard it is to keep their pets calm and still; so, you can imagine how difficult it is for a Cockatoo. Angel and her owners did an amazing job! Together they ensured that she did not interfere with her wound or the crazy metal scaffolding that she had to have on her leg for weeks! 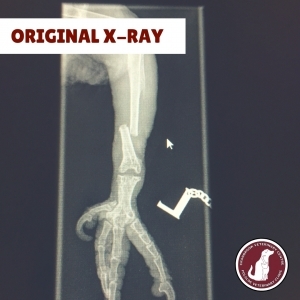 After several repeat X-rays to ensure that the fracture was healing well Coco finally had the pins and external fixator removed. 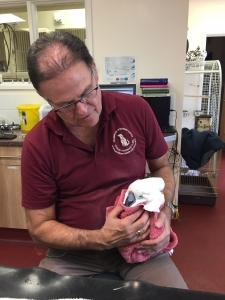 We were so impressed with the dedication of her owners and the bravery that Angel showed us all. 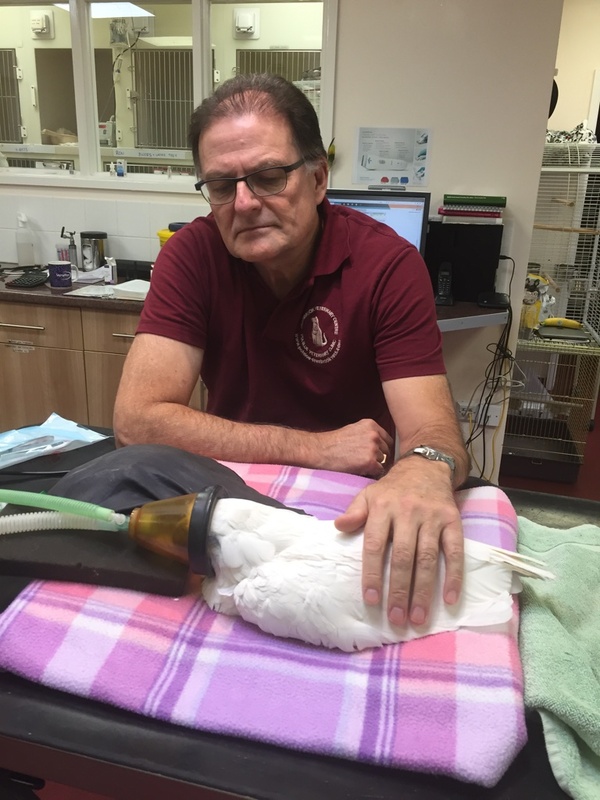 We have to work as a team – owner, pet and practice – to ensure the best outcome for the patient. (As a humorous aside – Chris unknowingly missed part of his surprise birthday party to operate on Angel & he wouldn’t have it ANY OTHER WAY! ).